The Nile Project was a hit at this years globalFEST and for good reason (Read the review here). Consisting of musicians from 11 countries along the Nile Basin, the Nile Project was founded in 2011 by Egyptian ethnomusicalogist Mina Girgis and Ethiopian-American singer Meklit Hadero to address the Nile Basin's cultural environmental challenges. Designed to captivate local audiences but feel equally accessible to international listeners, the Nile Project uses music to inspire curiosity about the cultural, social, and environmental challenges of the world’s longest river. CRASHers Kick-Off Party at DakhaBrakha! World Music/CRASHarts has launched a new membership group targeted towards young professionals in greater Boston and we want YOU! While we have already hosted some fun meet-ups (including having a drink with members of the band Solas when they were in town) we have been working hard organizing what we are considering our official KICK-OFF PARTY before the DakhaBrakha concert on November 22 at the First Parish Unitarian in Harvard Square. 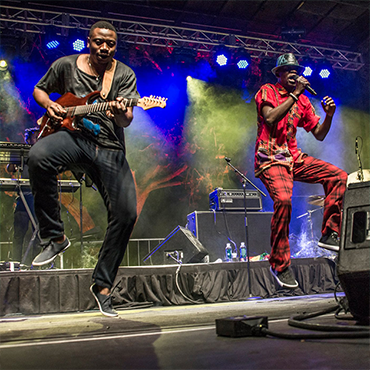 New CRASHers members' will get one free ticket to the concert (check them performing at globalFEST this year where they rocked >> http://n.pr/1wb8LYM), plus 50% off additional tickets for friends. In addition to that great deal, you score an invite to the party of the season. Read more about CRASHers Kick-Off Party at DakhaBrakha! Well, this is exciting! Pink Martini's team has graciously offered us a fantastic prize pack to offer to our friends as a giveaway! It's up to you to buy tickets to the show (September 28 at Symphony Hall... buy tickets here >> http://bit.ly/1lxcixO) but we've got the swag bag covered. Comment on this blog entry or on our Facebook page to be entered (www.facebook.com/worldmusic.crasharts) and be sure to mention that you want to WIN! Read more about Pink Martini GIVEAWAY!